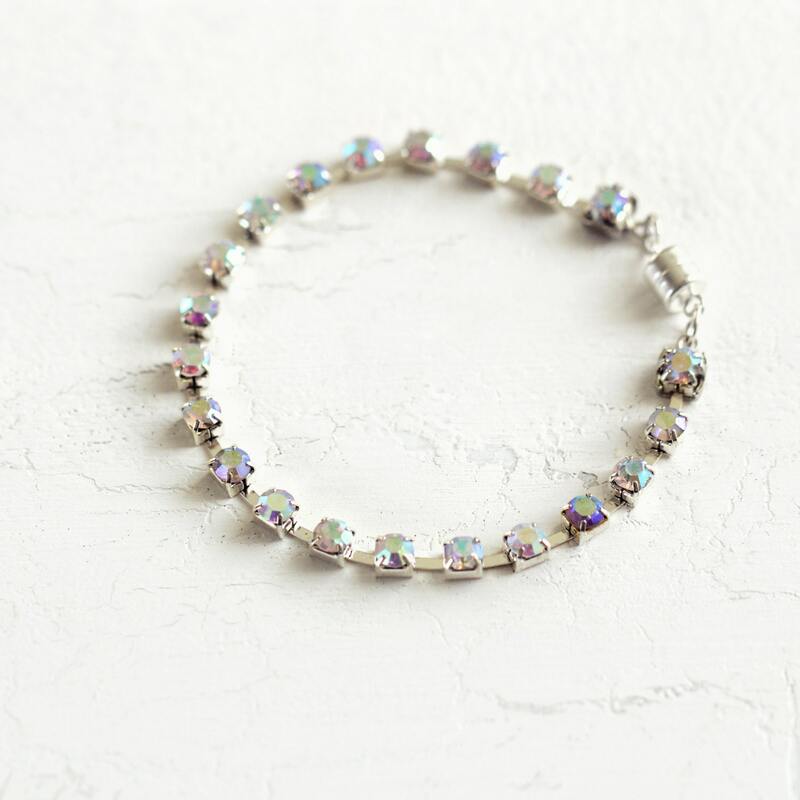 Simple, striking and elegant, this sensational diamanté bracelet will add sparkle and shimmer to any outfit. 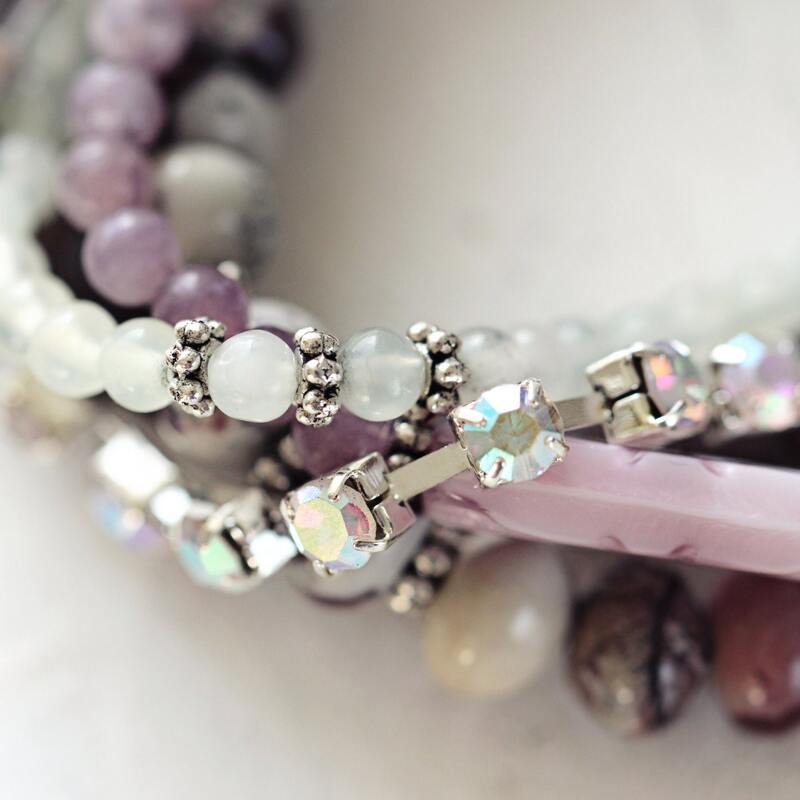 A perfect and impeccable statement worn alone, but spectacular layered and stacked with other bracelets. This captivating piece is all set to mesmerise! 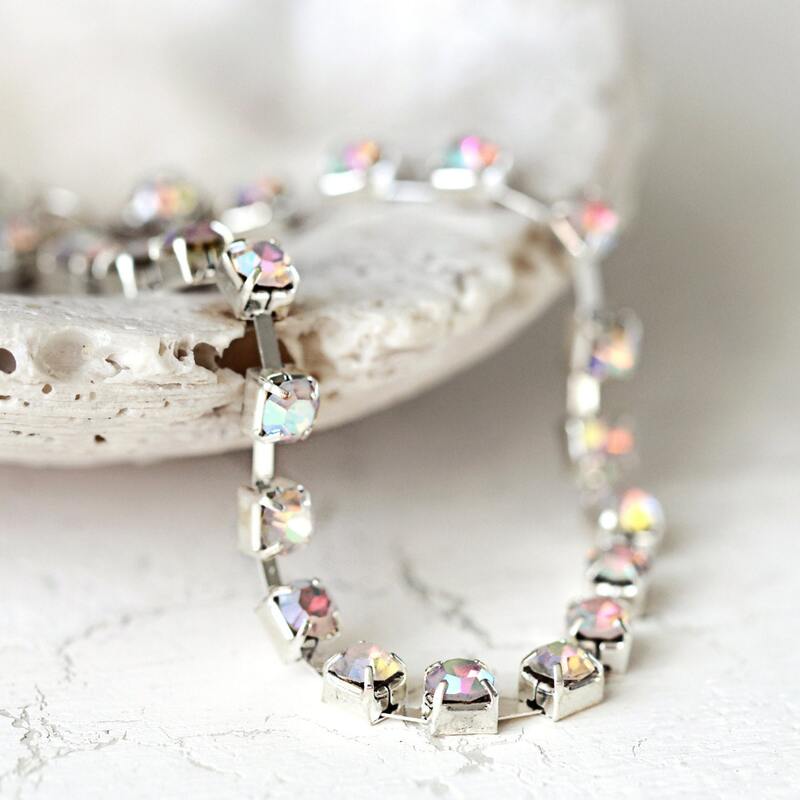 The gorgeous iridescent 'Aurora Borealis' finish ensures that it will match almost anything from your pale neutral outfits and sandals, to your little black dress and heels. Would also be perfect for a wedding, a ball, or a night on the town. 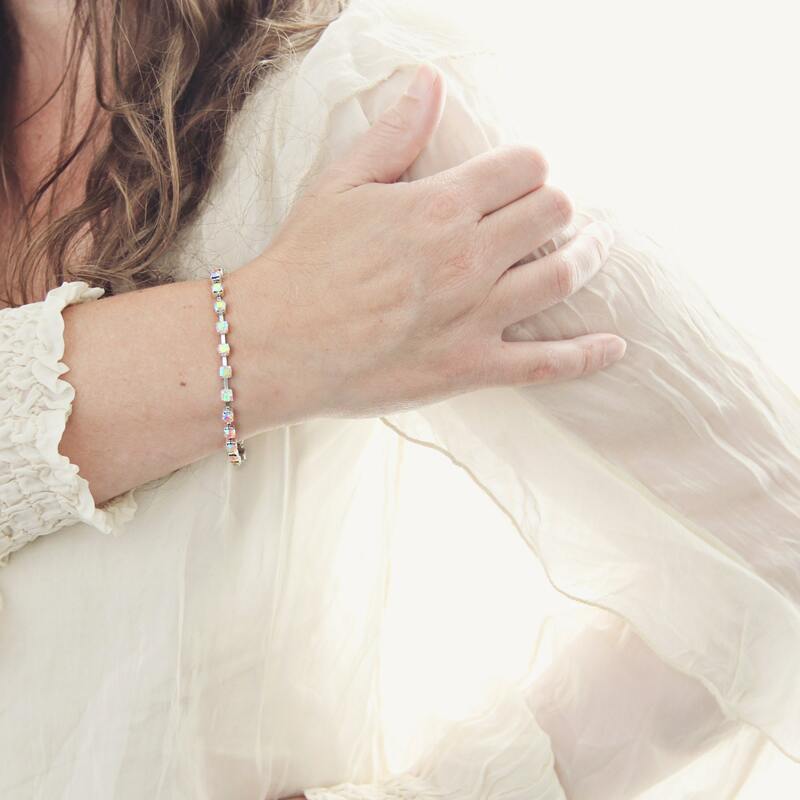 A feel-good, carefree bracelet that is light-weight, easy to wear, and finished with an extra strong magnetic clasp - so you won't find yourself struggling to do it up! 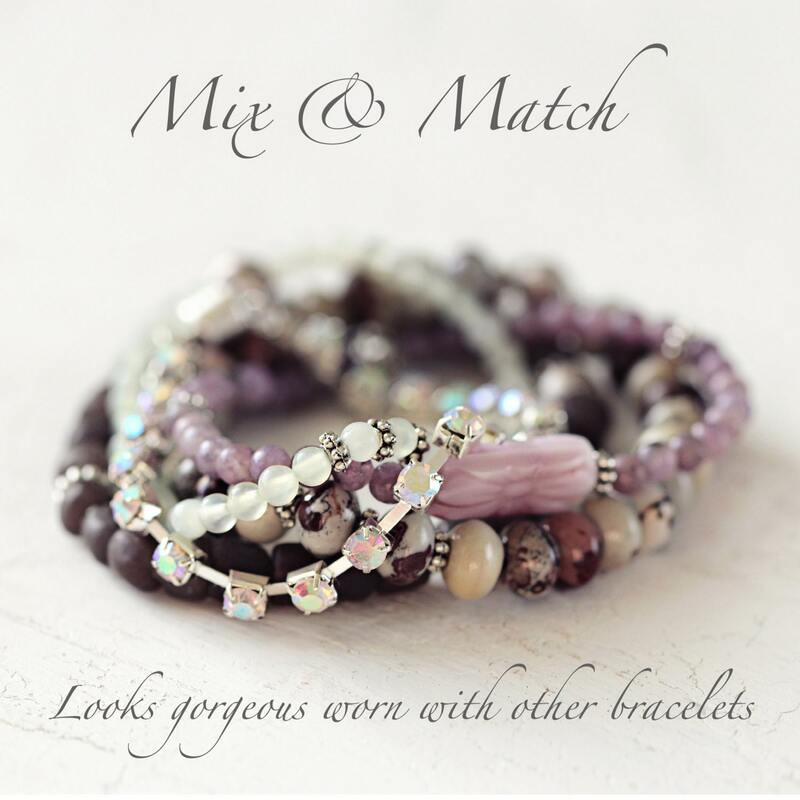 Mix and match with other Artique Boutique bracelets for endless choice and combinations - all you have to do is pick your colours and have some fun playing with the possibilities! * Length approx. 7" but can be made to custom length, please just get in touch.